Meet the President’s Student Employee of the Year winner and finalists! 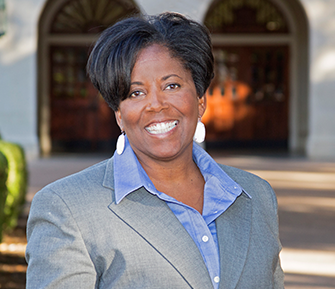 Led by Vice President for Student Affairs and Dean of Students Soncia Reagins-Lilly, the Division of Student Affairs works with academic partners, staff, parents and student leaders to influence our students in living the Longhorn life. Supported by the Office of the Vice President for Student Affairs, the Division’s nine departments, 37 units and 38 facilities offer first-class programs, facilities and services. They include 14 on-campus residence halls, dining facilities, medical and mental health services, new student orientation, recreational sports and two university unions. The Division employs 2,000 students annually and supports 1,100 student organizations, student emergency and veteran services, and leadership programs. Read Dr. Lilly’s monthly column Wise Words from the VP to learn more about our work. Find a time to meet during her office hours. Learn some of the unique ways we are shaping the student experience in our fifth annual report. Join us in celebrating the winners and finalists for the Texas Parents’ 2018-19 Outstanding Student Award! Check out the lineup of departmental events for students, alumni and friends. Learn how this Housing and Dining team member is helping some students prepare for eco-friendly careers. Learn why this Longhorn mom and daughter are teaming up for Family Orientation. Listen to our students as they explain there’s more than one way to be a Longhorn.